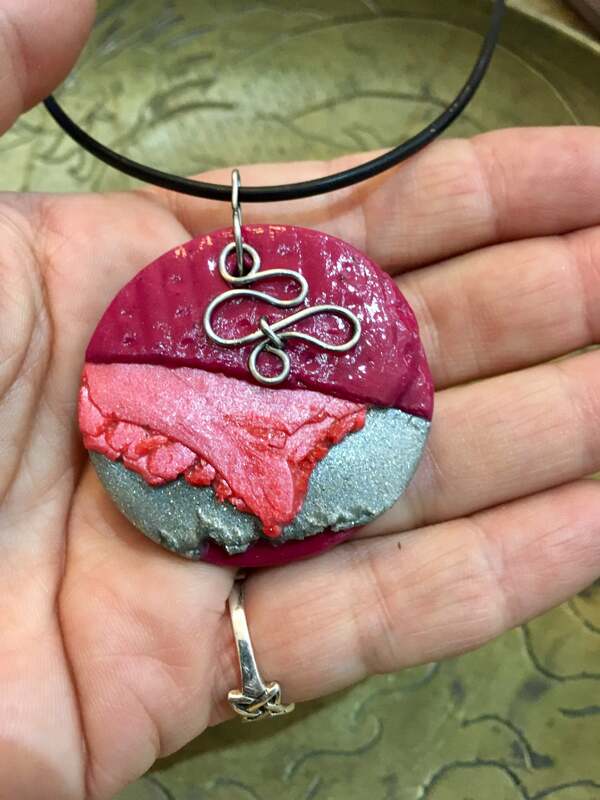 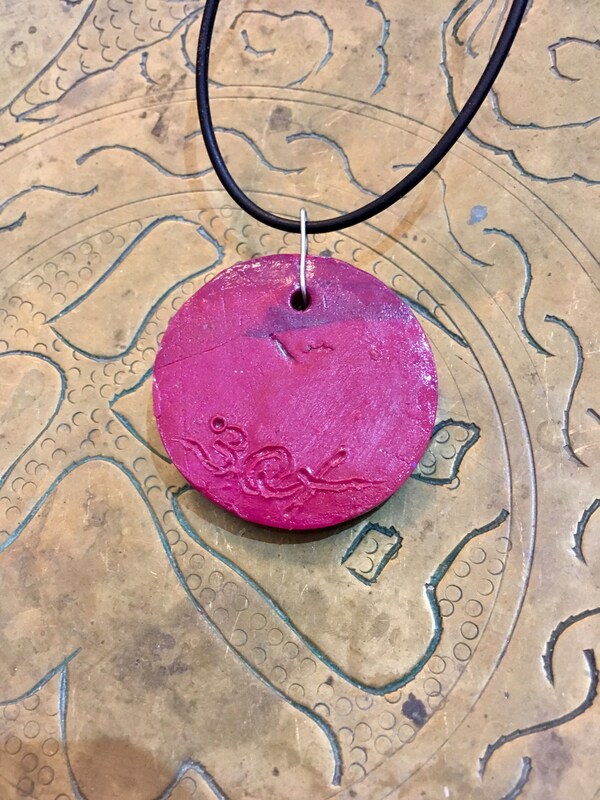 This is a 1 of 1, hand sculpted Polymer Clay Art Pendant. 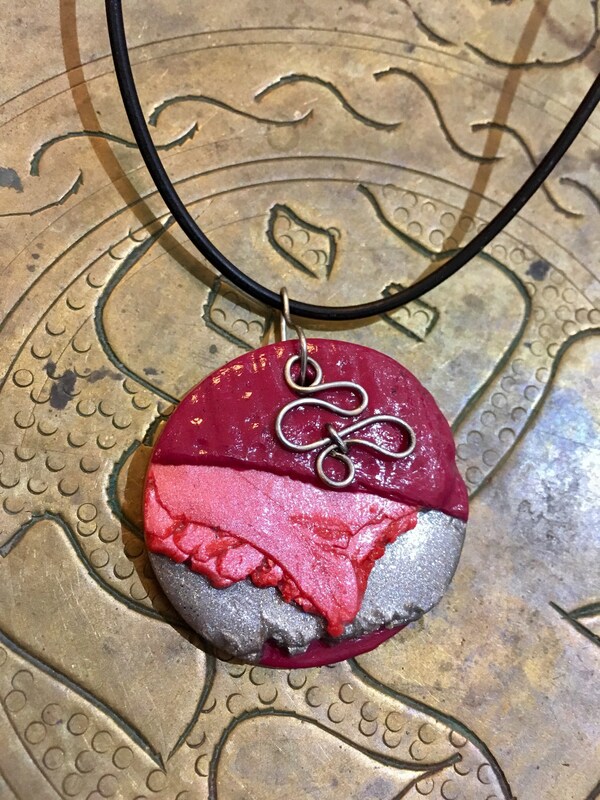 I used multiple layers to create this unique design. 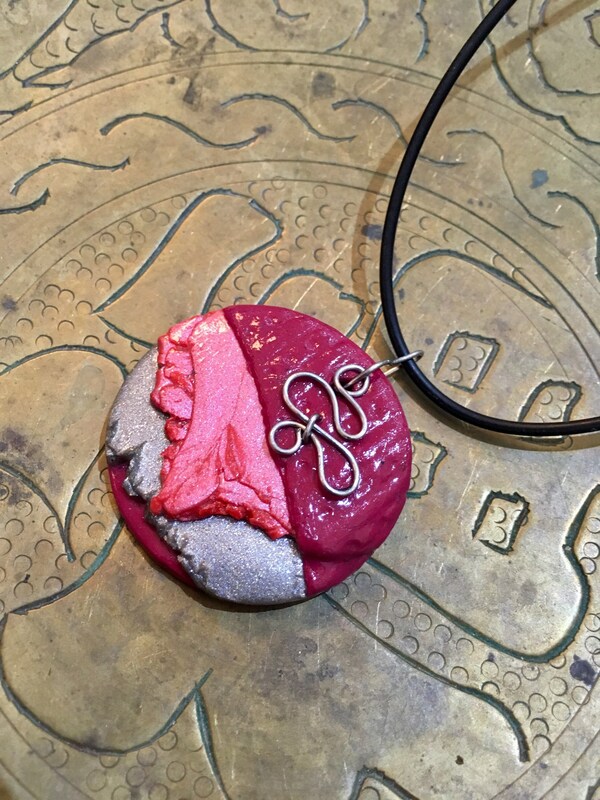 Features texture and a wire wrap bail.